Contact forms are often the main call to action throughout your website – they’re easy to neglect in favour of describing your company or selling your services, but if your contact forms are confusing, overly long or broken, that content quickly becomes worthless. At the heart of UX is the idea of placing yourself in the shoes of your users. Your user doesn’t want to fight through a survey of input fields to get their question answered, equally, they don’t care that you want to know ‘where they heard of you’ and they’re certainly not bothered about the ‘title’ you call them by! Start with the basics: name, email and message – this is probably all you’ll need to get back to the user with an answer. Now, start to think about your audience, do the additional fields you want to add provide any additional value? 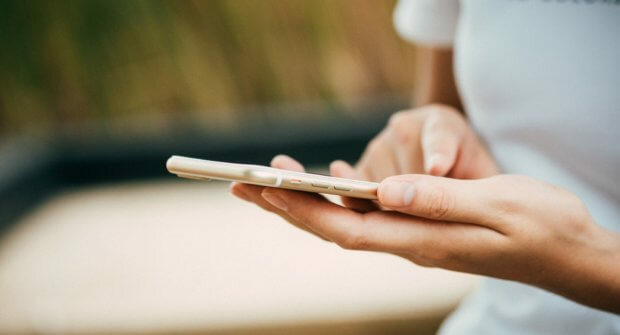 Even before adding a space for a phone number, consider whether your audience is likely to want a callback or would perhaps prefer to communicate via email. Ask yourself what information you really need from your user. This is especially worthy of consideration with the upcoming GDPR legislation – only take the identifiable information you need! The form on Houghton’s contact page asks the user to select either a product or service related to their enquiry (if appropriate). This field provides value by directing the message to the correct member of staff as quickly as possible – this trumps sending a basic email message every time, with the user feeling happier that not only is their question relevant, but they’re communicating it to the right person and in the right way. There’s an easy way to anticipate what the user’s query might be relating to, and that involves reviewing their journey through the site. In Houghton’s case, if the user were to hit the ‘enquire’ button on the ‘Fluidcare’ page (https://houghton-csc.co.uk/services-products/fluidcare/), it’s likely that their query is related to this particular service. So, if you click this particular enquire button, the contact form will automatically have Fluidcare selected in the service drop-down – eliminating the need for this user to fill this out and ultimately enhancing their experience. Follow the three main rules of form design to prevent confusion and avoid client frustration. Use only one column – don’t let users get lost in a sea of input fields all squashed into one, small, frustrating, space. confused on what information they’re meant to be giving with weirdly aligned labels or instructions that disappear whilst they’re typing. Introduce your contact forms – describe where their information and message is going and for how long you’ll be storing it. This will not only reassure your user but also make sure you’re aligning with new GDPR legislation. Make sure your required fields are appropriately marked and the labels descriptive enough to facilitate the user’s webpage ‘glance through’ before they decide to use the form. Get yourself an SSL certificate and make sure your site is secure. You can always tell a secure website by the padlock in the address bar alongside the ‘https://’ – browsers such as Firefox and Google Chrome are even beginning to point out sites that aren’t secure. This will not only build up trust with your users, you might even get a rankings boost from Google as well. I’ve written a lot here about users and their journey through site to contact forms, but it’s impossible to guess the unique pathways your specific users will take, and what will affect them. Make sure your site is set-up with appropriate analytics to collect data – not only on your contact form but on your whole site also. Heatmaps and screen recordings are a good idea alongside setting targets and goals in tools such as Google Analytics. Don’t be put off asking for user feedback – just make sure it’s not in the user’s way of achieving their goal. Perhaps ask for a rating or comment following a successful contact form submission, or of course, you could always ask during a follow up what they thought of the site. There’s plenty of unobtrusive options to choose from. Finally, use this data! Assess, evaluate and improve the experience – there’s always something that can be done to make your website perform better. Start employing these tips on your site and your contact form will be more efficient in no time. But when you’re ready for the next level, make sure you get in touch with us here at Formation, where we’ll be ready to supercharge your digital presence and transform your business. Contact us via our website on https://formationmedia.co.uk/contact/ or ring us on 01926 298 777.